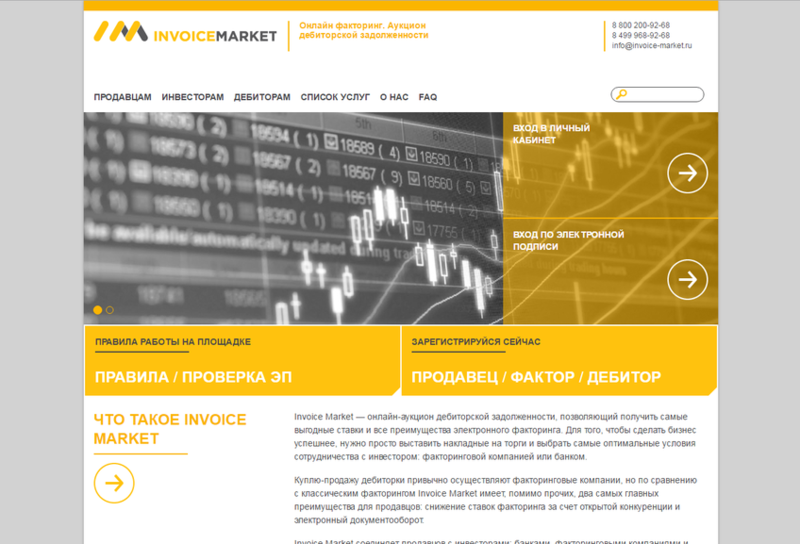 Invoice Market - Russia's first online auction of receivables. Now entrepreneurs working with accounts receivable, will be able to sell it quickly and profitably and to get money for business development. Invoice Market - Platform, which opens the possibility to factoring transactions factors (factoring companies and banks with a separate factoring unit), banks and even non-financial organizations.